The Red Yamaha Gigmaker Electric Bundle comes with everything you need to get started playing the electric guitar. 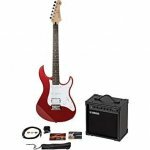 The package features the Pacifica PAC012 electric guitar, a 2-channel / 15-watt amplifier, a gig bag, chromatic tuner, instructional guitar DVD, strap, extra strings, and extra picks. 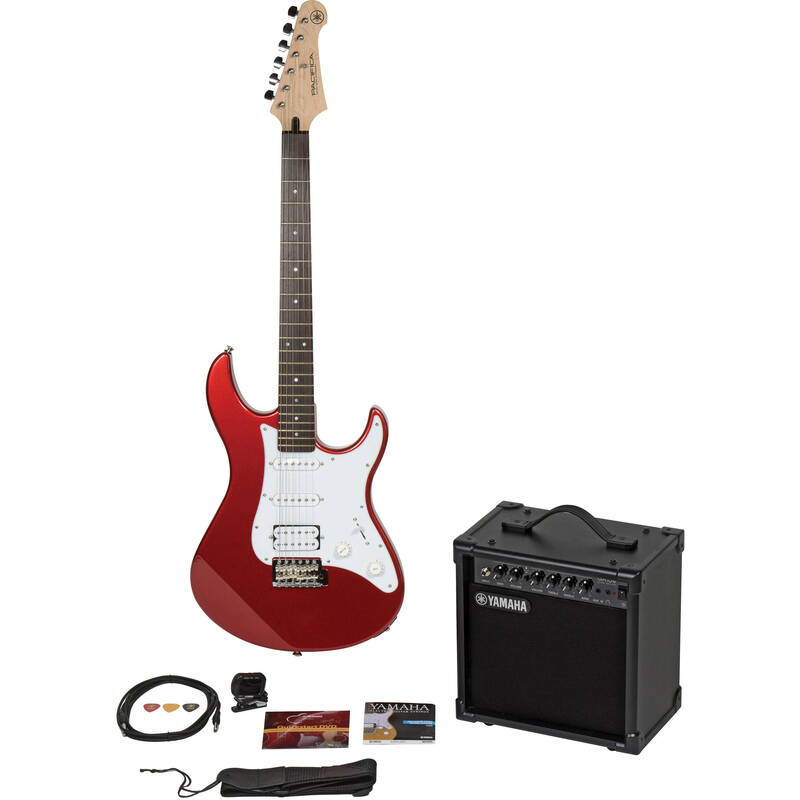 The Pacifica PAC012 electric guitar is designed to provide quality tone and smooth playability. Featuring a double cutaway body made of agathis, a bolt-on maple neck with a rosewood fretboard, vintage-style vibrato, and 5-way pickup switching configuration, this guitar is an affordable, yet high-quality instrument for players of a variety of styles.